When people think of fishing, many of them picture a day on the lake hooking into Bass. That pretty much sums it up–at least as far as fishing on a lake goes! More than merely iconic, the art of lake fishing has shaped recreational angling as we know it. One bite from the hard-fighting game fish in these waters and you’ll see why! It goes without saying that every lake is different, and so are the fish that swim in them! Some species are far more common than others, however, and there are a few that make anglers absolutely giddy. 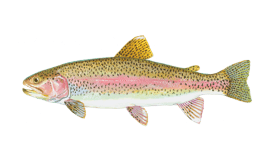 Top target species around the world include Bass (Largemouth, Smallmouth, Striped, Spotted), Crappie, Bluegill, Catfish, Walleye, Trout (Brown, Lake, Rainbow), and Salmon (Chinook, Coho, Kokanee, Atlantic). 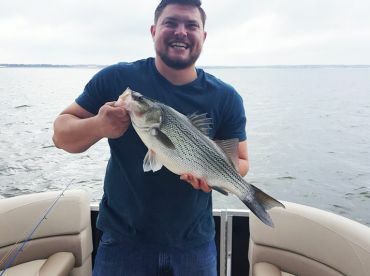 All of these fish make for outstanding action on the lake and excellent table fare (provided local regulations allow you to keep your catch). 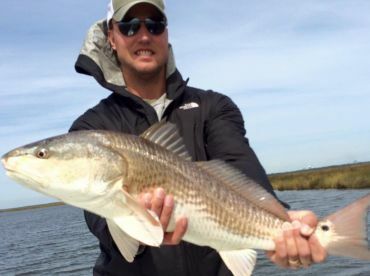 Knowing where to cast your line depends on which fish is at the top of your wish list. 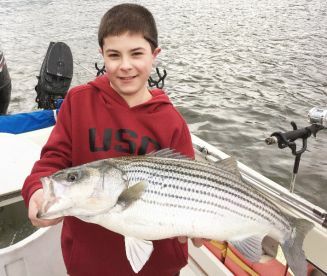 On the other hand, first-time anglers who are happy to hook into anything at all can have a blast fishing in any old lake for a chance to catch some of these species. Sweet, simple, and practically fool-proof, this technique is the perfect way to get your feet wet when it comes to lake fishing. All you need is a standard rod and reel (typically a baitcaster), a weighted line, and a baited hook. Depending on your target species, you’ll also need a sinker (if fishing off the bottom) or a bobber (if fishing anywhere between the bottom and the surface). Dropping your line and sitting in place is the easy part, but bait selection requires a little more forethought. Try fishing a worm off the bottom for Catfish, or suspend a jig or rooster tail roughly 3 feet below the surface to catch a Crappie. Fishing suspended bait will also help you catch Pike, Walleye, and Bass at times. Trolling is another user-friendly technique for beginners which consists of pulling your line behind a slowly moving boat. Anglers typically sit facing the stern of the boat and hold their rod with the tip at a 45-degree angle. Be sure to use a stiff rod. Trolling will help you catch Salmon, Trout, Walleye, and more. In summer months when some fish move into deeper parts of the lake to keep cool, it’s common to troll using downriggers so that your bait stays at the right depth. Casting involves repeatedly retrieving your line, typically while standing in one place. This allows you to experiment with variety, and allows you to mimic the nature of your target species’ prey. 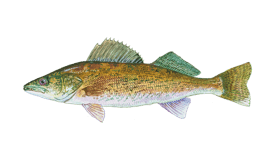 Anglers rely on casting, or baitcasting, to catch fish swimming in the upper and middle sections of the lake. You can use a wide range of lures, including top-running and surface plugs, crankbaits, spinners, spoons, and more. Bass are usually partial to jigs and crankbaits, while spinners and spoons are irresistible to Trout, Kokanee Salmon, and Panfish such as Crappie. If you’re ready to try some more advanced techniques, flipping is right up your alley. Flipping is an underhand cast which allows you to place your lure while disturbing the water as little as possible. Anglers usually use this method when fishing for Bass or Crappie in dirty water and thick cover. The key is to release a short amount of line (up to 10 feet) and then feed it back through the guides as you lower and raise your rod. A heavy 7.5’ rod will improve your accuracy and result in a quiet presentation. 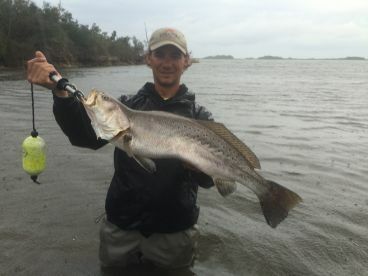 The related technique known as “flipping and pitching” has gained a lot of traction among Bass anglers. In this approach, you release the lure from your hand with an underhand pitching movement, while allowing the line to feed through the guides. Many regard fly fishing as one of the most difficult techniques in the world. While it takes a great deal of skill to become an accomplished fly angler, there’s no need to shy away from this technique if you’re lacking in previous experience. There’s a lot to learn, and hiring a guide or bribing a buddy into teaching you will help get you off to a good start. You’ll have a wide variety of artificial flies to choose from and it takes time to figure out which ones the local fish like best. 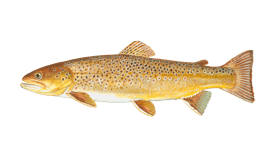 Fly fishing is an exciting way to catch Trout, Salmon, and even Panfish species. 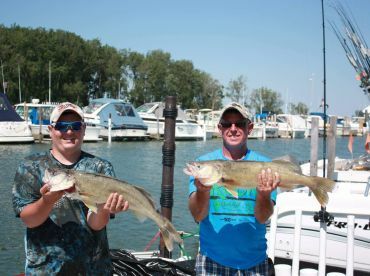 Lake Erie: The best Walleye fishing in the United States and Canada. Lake Champlain: Some of the best Bass fishing on the continent! Clear Lake: A go-to destination if you’re in the market for big Bass. Lake Okeechobee: The largest lake in Florida, where Largemouth Bass and Crappie reign supreme. Toledo Bend Reservoir: The Largemouth Bass fishing here is unbeatable–unless you’re fishing for Crappie, which is arguably even better. Read local fishing reports or talk to someone at your local bait and tackle shop to see what’s biting and which baits or lures are working best. Bring two fishing rods: one with 10-12 lb test line for catching Bass and Catfish, and another with lighter test line (4-5 lb) for Crappie and Bluegill. Look for cozy hideouts! 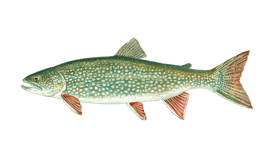 Many fish like Bass, Walleye, and Pike get comfortable near submerged structure like large branches and fallen trees. Weed beds in deeper water also make good hideouts for fish that are waiting ambush their prey. The early bird catches the worm–or in this case, the fish! Be up and at ‘em before dawn and you’re more likely to catch something. Casting your line at dusk can also be productive. Last but not least, be patient: you might sit there for hours without so much as nibble on the end of your line. 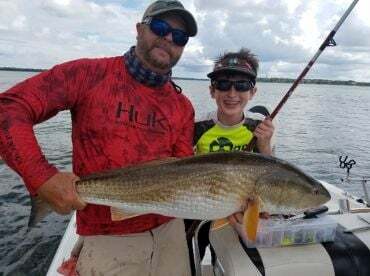 Many first-time anglers climb aboard with big expectations, which leads them to feel disappointed when they catch small fish. Remember that it takes time to master the lake and you’ll hook into loads of little fish before landing that trophy! Whether you’re casting lines in one of the world’s finest fishing lakes or just experimenting in the pond out back, it takes only one unforgettable catch to have you hooked on lake fishing!